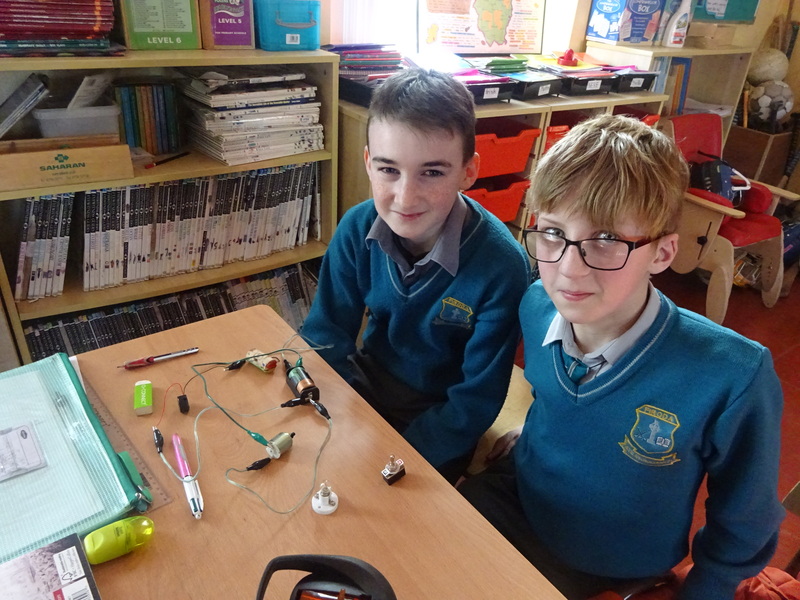 After weeks of hard work, our 5th & 6th class students got the opportunity to showcase Powerpoint Presentations to the class! 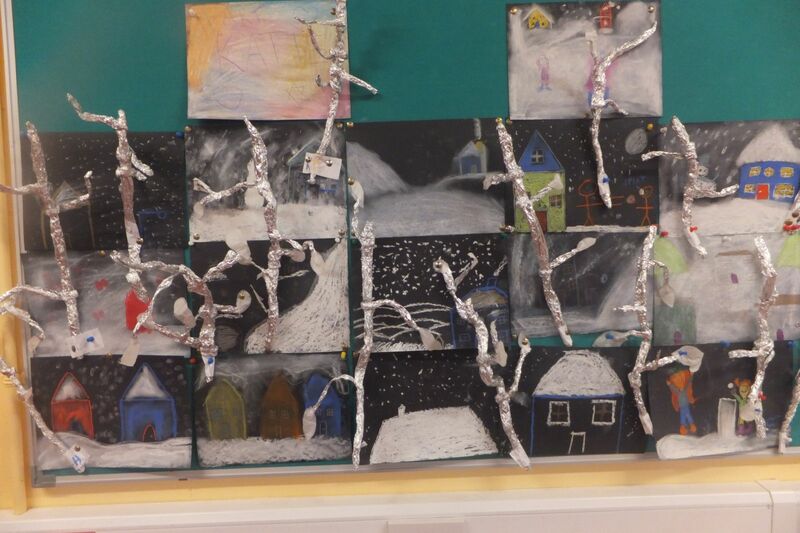 A huge amount of hard work went into these projects, and the end product was absolutely magnificent! 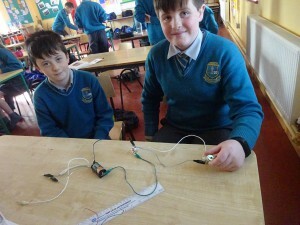 Everybody should be extremely proud of what they achieved and we look forward to more wonderful presentations to come! Our overall top three finishers in the end were Holly, Kevin and Adam! Well done to you all and congratulations! 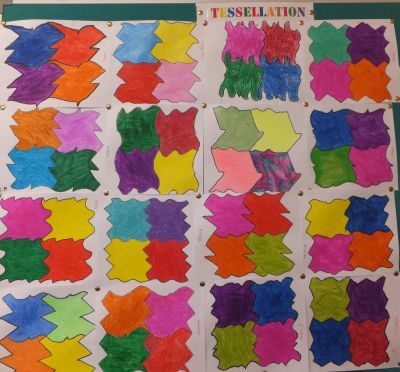 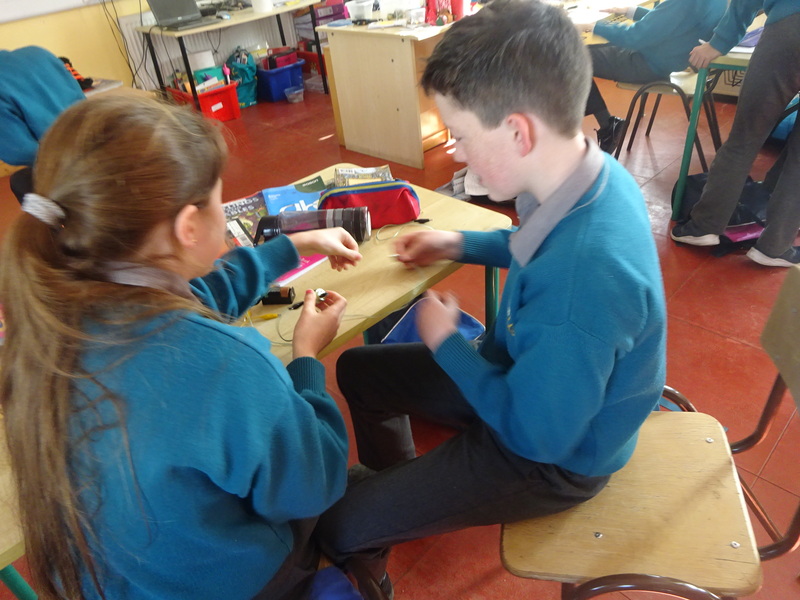 The task of choosing Star of the Week this week in the 5th & 6th class room was a difficult one! 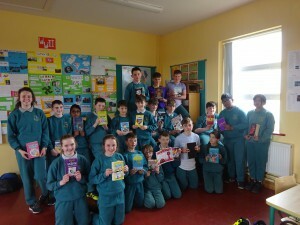 This week’s theme for Star of the Week was, ‘ Being a bookworm’. 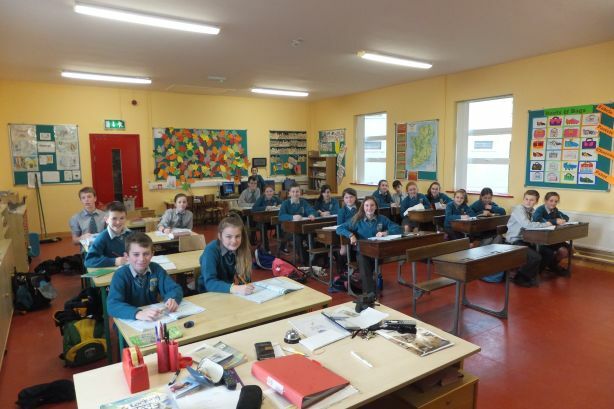 Our current crop of students in 5th & 6th are always great to get stuck into some silent reading whenever they get a chance. 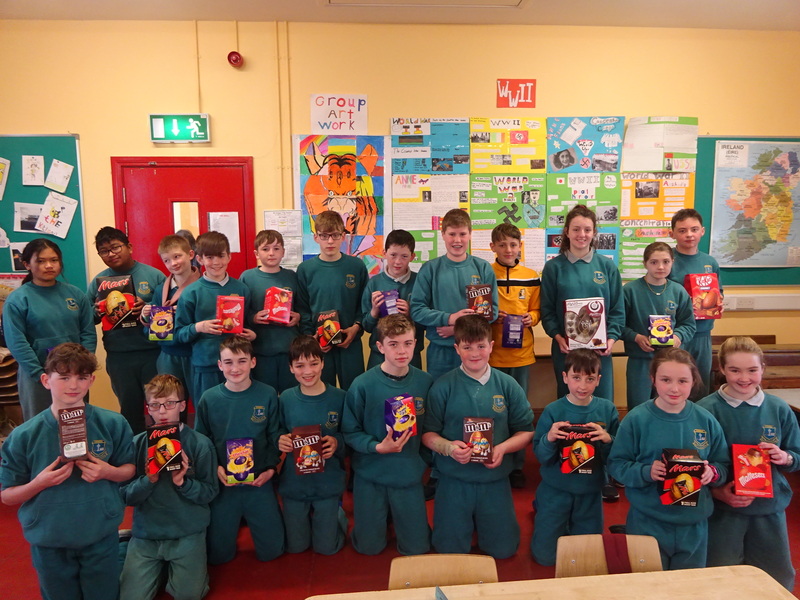 In the end,it was decided that the whole class group would receive the Star of the Week prize for such a great class effort in reading, not just this week but all the time! 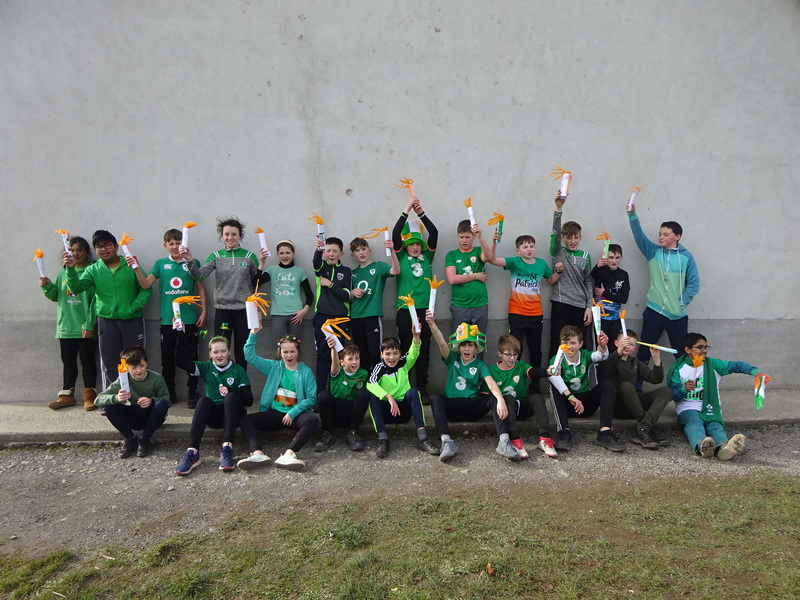 Well done to all in 5th & 6th and keep it up! 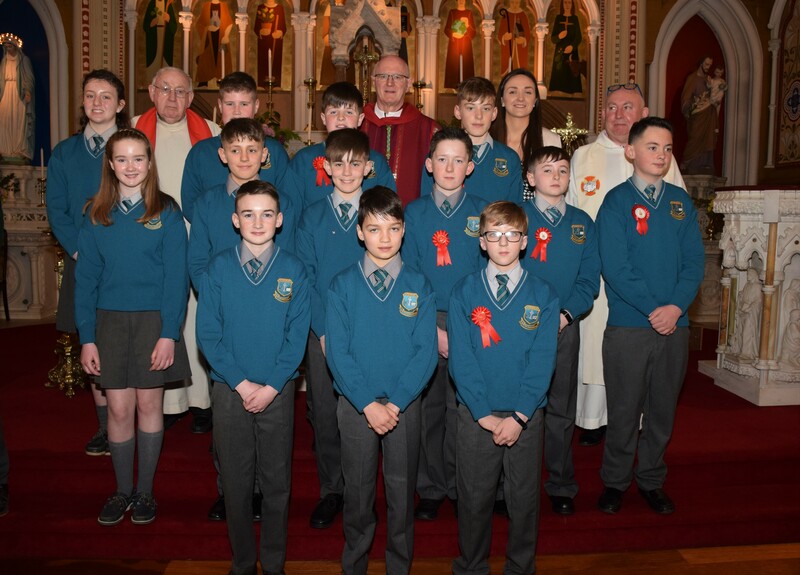 Congratulations to our Confirmation Group who were confirmed on the 22nd of March. 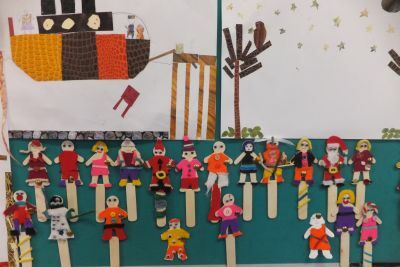 We hope you all enjoyed the very special occasion with your friends and family! Bhain gach duine an taitneamh as Lá le Pádraig i rang a cúig agus sé an seachtain seo caite!! 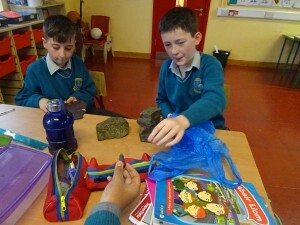 Firoda School has a great tradition of Irish Music. 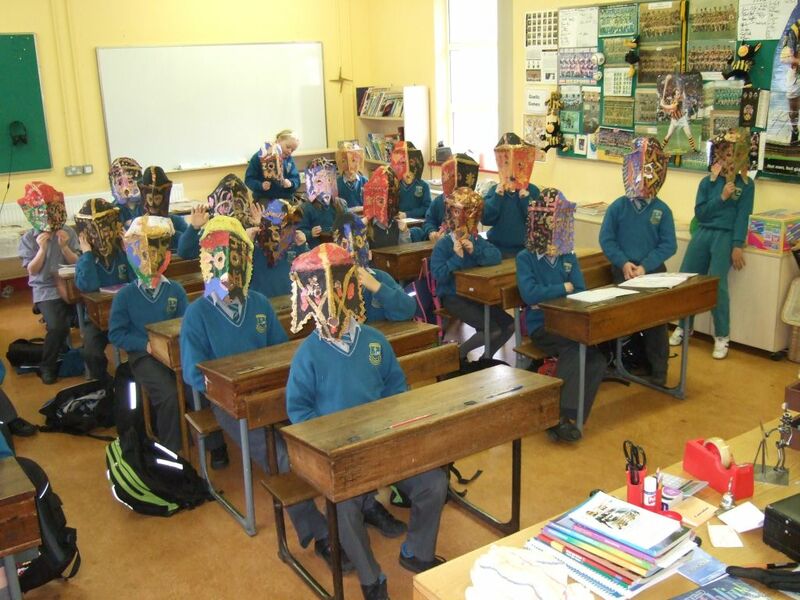 Last week, we were represented by a number of students ranging from 4th to 6th class in the Kilkenny Music Festival. 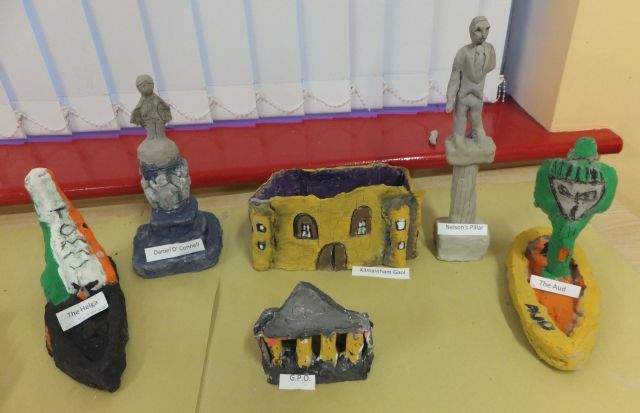 They came third in the competition and did all in Firoda National School very proud. 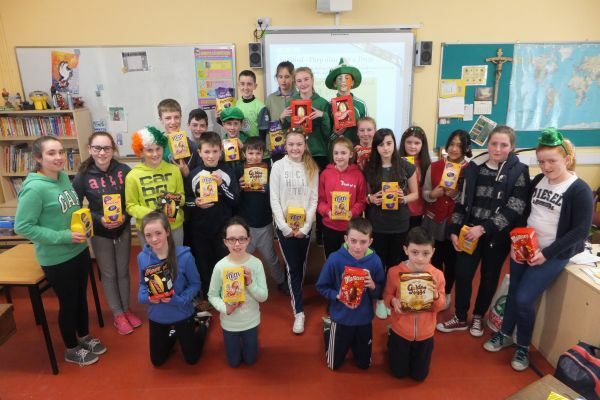 We would like to say a huge thank you to Karena Dowling and her continued work and effort in her teaching of Irish music to the students here in Firoda. Well done and congratulations to all involved!! 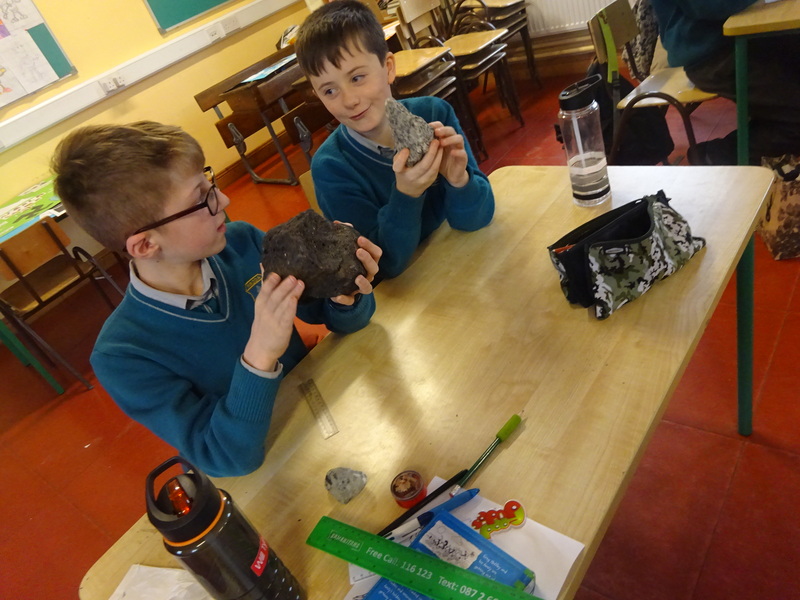 We were very lucky to have the chance to learn about the different soil types and rocks in our local area this past month. 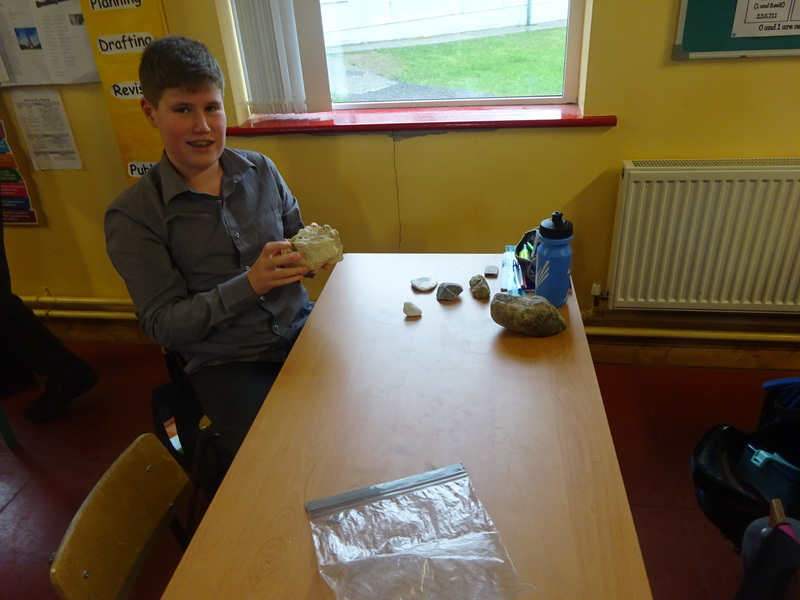 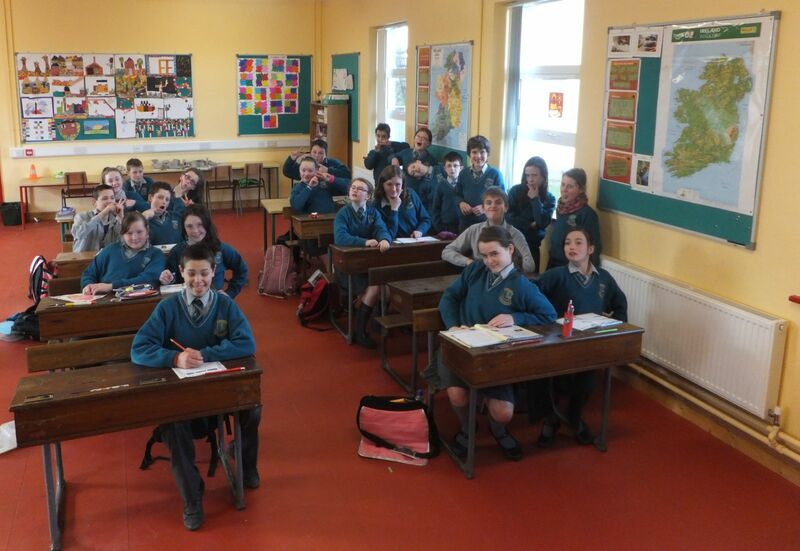 Here are some photos of our 5th & 6th class students hard at work on the day!! 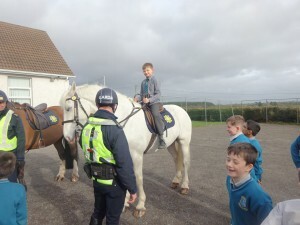 In February we had a visit from the Gardaí. 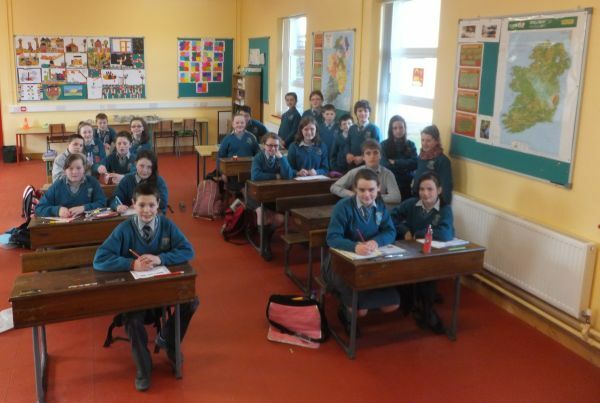 They spoke to us all in 5th & 6th class about Cyber Bullying and Internet Safety. We bounced around ideas about how we can all be a little safer when we are online. The evening was enjoyed by everyone and we hope that it will help us all to be a little safer online! Alex was even brave enough to climb on board some of the horses who are part of the Gardaí’s Mounted Unit! 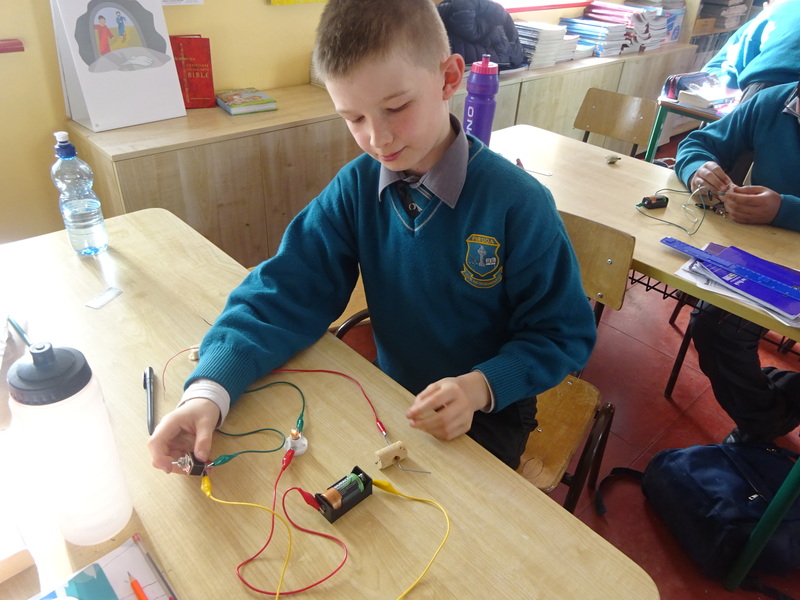 We explored circuits in class for science this week. 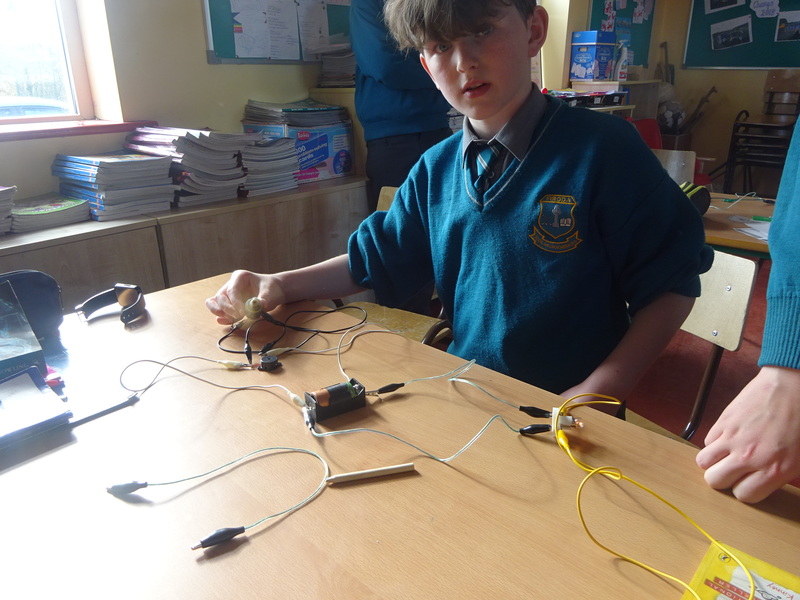 Everyone got involved and had great fun making all different types of circuits. Here are some pictures of students hard at work! 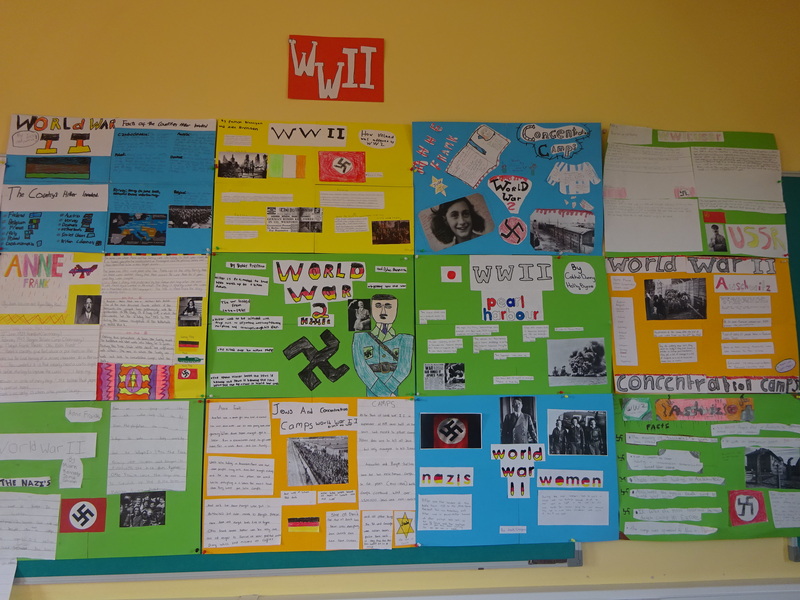 We spent a number of weeks exploring World War 2. 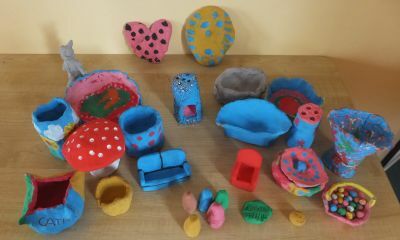 Here are some of the finish projects we completed in class on the topic. 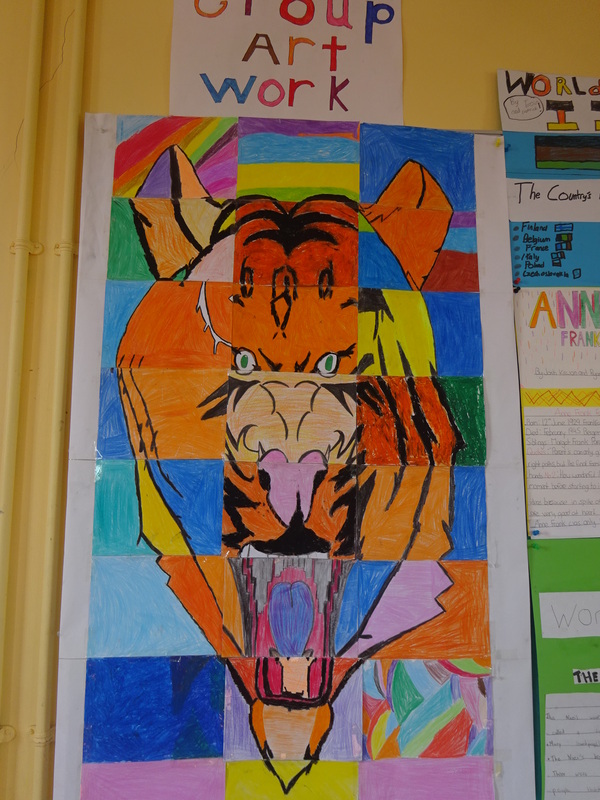 Everyone put a great effort into their projects and should be very proud of their finished work! 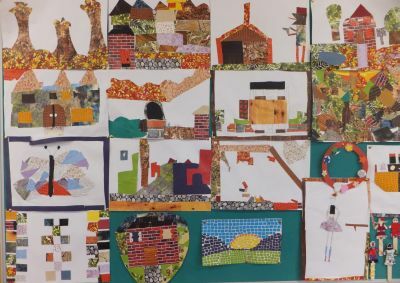 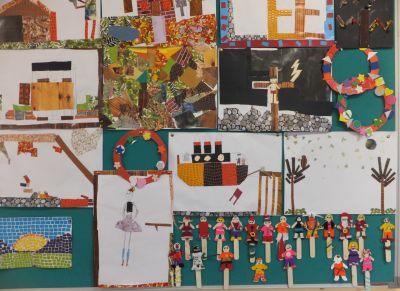 As a group we decided to create a piece of art which brought all our individual pieces of work together. 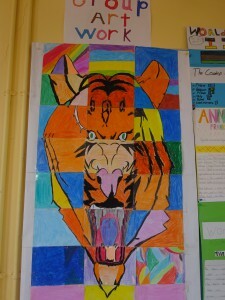 The finished picture turned out really great which you can see below! 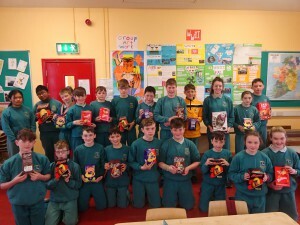 Our class receiving Easter Eggs for our “wonderful” Power Point presentations. 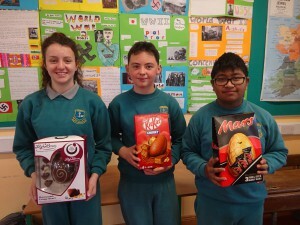 Class Group receive Easter Eggs as reward for excellent PowerPoint projects. 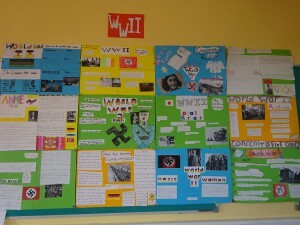 The projects were presentations on History, Geography, or common interest themes. The pupils researched, designed and delivered the projects to a very high standard. 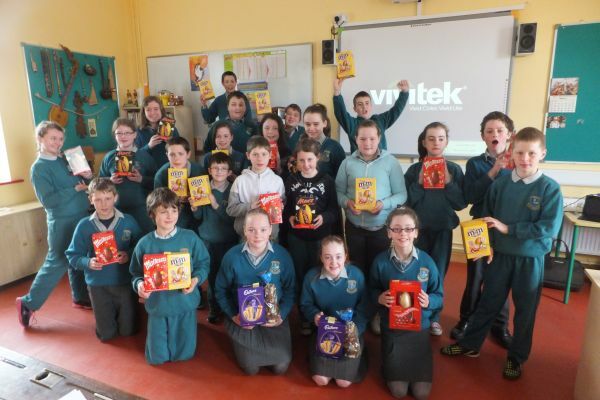 After Easter each pupil will have to stand before the class and present their project. 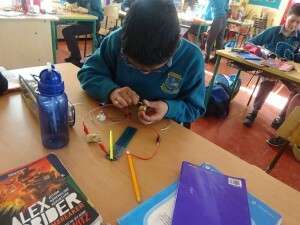 We hope to publish all the projects on our “projects” page later in the year.